With the October 2015 election of Justin Trudeau as Prime Minister of Canada, we take a look back at his father, Pierre Elliot Trudeau, one of the most influential and memorable Prime Ministers in Canada’s history. He served as Prime Minister from 1968 to 1979 and then again from 1980 to 1984. 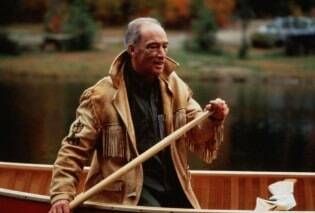 Throughout his time in power in Canada, he struck people as a brilliant mind and a passionate politician. 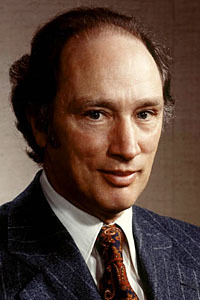 He dominated Canadian politics from the 1960s until the 1980s, retiring in 1984. Trudeau’s key accomplishments include preserving national unity against the Quebec sovereignty movement, suppressing a violent revolt in the October Crisis, fostering a pan-Canadian identity and achieving sweeping institutional reform. This included the implementation of official bilingualism and the establishment of the Charter of Rights and Freedoms. Trudeau kept Canada in the North Atlantic Treaty Organization, but differed from U.S. policy by establishing diplomatic relations with the People’s Republic of China before the United States did and befriending Cuban leader Fidel Castro. 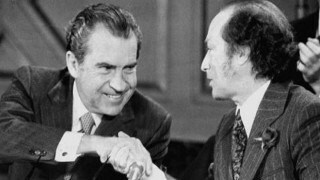 Remembering Pierre Trudeau, Vladimir Toumanoff, Counselor for Political Affairs, Ottawa 1969-1973, was interviewed by William D. Morgan in June 1999. Charles Stuart Kennedy interviewed Donald Kruse, Office of Canadian Affairs 1973-1976, in March 1997. Kennedy spoke with David Wilson, Information Officer, Ottawa 1975-1979, in January 2001. Richard Smith, Deputy Chief of Mission, Ottawa 1980-1983, began his oral history with Kennedy in July 1996. George Jaeger, Political Counselor, Ottawa 1983-1984, was interviewed by Robert Daniels in July 2000. Kennedy spoke to Thomas Niles, U.S. Ambassador to Ottawa, 1985-1989, in June 1998. Follow the links to read more about Canada and when its separatist movement turned violent. 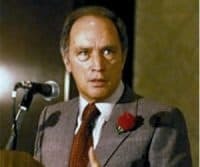 TOUMANOFF: Pierre Elliot Trudeau, the “JFK of Canada,” newly Prime Minister, young, energetic, glamorous, brilliant, charismatic, eloquent in both national languages, but with an attitude toward the United States of an arrogant French intellectual aristocrat; in a word, scornful dislike. Be it said we were not all that likable – in the midst of the Vietnam war, with Nixon as President, and almost absent-mindedly an overwhelming cultural, economic, political and demographic threat to the sanctity of Canada – 20 million people spaced out like small beads on a long thread along the border of 235 million Americans, a mega-state by every measure. Trudeau’s imperative task was to combat Quebec separatism and preserve the unity of Canada. To that end he pursued a three-fold program: to stimulate Canadian patriotism/nationalism; to portray the United States as an ugly, aggressive giant constantly threatening to overwhelm Canada; and to assuage and accommodate Québec as a treasured and protected unique component of Canada. 1) To generate in English Canada a combination of ardent Canadian nationalism and fear of U.S. takeover in the event of Quebec secession. An independent Quebec would have broken English Canada into two small, very different clusters of provinces separated by a French nation; an Atlantic maritime cluster, and a western remnant, each with starkly smaller populations and economies, and each much less able to withstand absorption by the U.S., perhaps piecemeal, province by province. Thus Trudeau would move English Canada to be more sensitive and accommodating to Québec, and the Québécois to forgo secession in order to preserve their own precious Canadian identity and escape the ugly American. 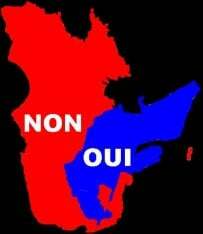 2) To persuade French Quebec that independence would leave them isolated and surrounded by a resentful and vengeful English Canada and a giant America, a tiny French island of barely 4 million in a gigantic sea of 250 million Anglos. What chance had they of preserving their French culture from being overwhelmed and expunged? Better to stay in a caring and accommodating Canada. Trudeau had to alienate that affection and attraction to save the nation. He went at it with a will, partly as he shared neither the affection nor attraction. In large part he succeeded. Let me illustrate. First of all, he was the epitome of the vibrant, new, glamorous and exciting Canada, the JFK of the north, after we killed ours, as well as his killer (Canadian version). While the U.S. was mired in Vietnam and domestic turmoil: our cities were burning, our students revolting, fighting with police and National Guard, even being shot. Our President distrusted, neurotic, and vilified by the press. Trudeau did not disguise his disdain. His speeches, and those of his Officials and ruling Party leaders, were critical and eloquent in contrasting our warts with beneficent Canada. The Canadian press occasionally reminded me of Pravda and Izvestia in its caustic coverage of the U.S. The Trudeau Government pursued a demonstratively divergent foreign policy. It became counter-productive for us to call on the Foreign Ministry (“External Affairs” in Canada) to seek support for a U.S. position. If they did, the inevitable question in Parliament would be “Has the U.S. made any representation to this Government to that end?” And if the answer was “Yes” the Government lost votes across the nation. Canada continued to accept and harbor American draft dodgers, even deserters. American faculty were gradually being dismissed by Canadian colleges and universities. Entry and distribution of American news magazines and other publications were obstructed. Protesters picketed the Embassy and Consulates. Finally, the anti-U.S. posture became so marked that the opposition Party, the Conservative, introduced a resolution in Parliament condemning the Government for its anti-Americanism which, had it passed would have been the same as a “no-confidence” vote, and the Trudeau Government would have fallen. He countered, adeptly, by announcing a visit by President Nixon, his first out of the U.S. The resolution got nowhere. At the same time he was strikingly accommodating to Quebec and was forcing English Canada in that direction. He visited his native Province often, giving rousing speeches in fluent French. 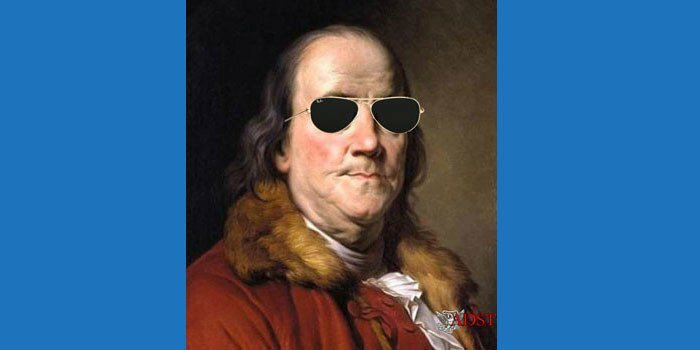 He engineered constitutional changes, economic aid, and even went so far as to require present civil servants to learn and demonstrate fluency in French as a qualification for promotion and retention, as well as requiring French of new applicants for employment. In the end he successfully defeated Quebec separatism, but it was a near thing. The central issue for the separatists was an historic and very present threat to the survival of their French language and culture, from English Canada by both intention and disregard, and from the U.S. by its colossal influence in every sphere. They consequently turned, eagerly, to France as their mother country, for practical support and emotional sustenance. The French response was modest, lukewarm, nothing like the passionate embrace they sought. The French were friendly and recognized historic ties, but seemed somehow preoccupied with other matters, which, of course, they were. Qu ebec sought a visit by de Gaulle, the President of France. After some delay, Trudeau evidently decided it was better to invite de Gaulle on a state visit than to delay indefinitely and inflame the issue to a separatist battle cry. De Gaulle accepted, landed in Montreal to a wild, hero’s welcome, and stayed, instead of going on promptly to Ottawa, the Capital, as protocol would require. 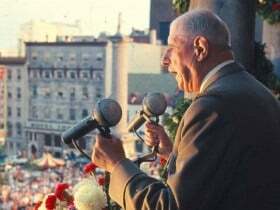 Worse, his public statements increasingly celebrated the ties between Quebec and France, until in a public address from the Mayor of Montreal’s balcony to the cheering crowd below he ended a real stem-winder with the cry “Vive La Quebec Libre!” – Long Live Free Quebec – the separatist and FLQ rallying cry. The Trudeau Government promptly invited him to leave Canada, which he did. KRUSE: Trudeau. He was a special force also. He was looking forward to meeting with the Russians. You do have to realize that the other close neighbor to Canada is Russia, mostly over the pole. But still, in a Cold War situation, the Canadians always thought that if missiles would be flying from the Soviets to us, they’d go over Canada. They also just never were quite as hard line. I shouldn’t say “never,” but certainly under Trudeau, they were not as hard line anti-communist. They thought the Americans had kind of gone too far. So, it was an interesting time. There would be, from time to time, some Trudeau ideas which we thought were not helpful. I wish I could think of an example right now, but he was looking often to find ways of dialoguing with the Russians, sometimes on his own, which made us a little nervous. He had a slogan which implied that Canada was independent of the United States. It was meant to prove to the rest of the world that…he was pushing Europeanization of Canadian foreign relations. There were a lot of things that he pushed. But all of it was against this almost immovable and unchangeable fact that it was living cheek by jowl with the United States and that Canadian business and Canadian prosperity really depended on a good relationship with the United States. When the headquarters of companies were in the United States or were clearly American, Canadians always get a little nervous that somehow they’re going to get the short end of the stick. The same way with culture. “Time Magazine” sells very widely in Canada. It’s not a Canadian magazine. American television is widely seen all over Canada. Canadians have the desire to live close to the American border for practical reasons. It’s a little warmer. So they all live about 70 miles from the border and all of this great American cultural scene pours over. There are periodic attempts to stop it, somehow make sure there is Canadian content. Even football teams, the Canadian Football League had to have a certain percentage of Canadians higher than the Americans. You just aren’t aware unless you put yourself in Canadian shoes the force of this great American society and how it affects Canadian life in every way. Q: Did you have the feeling that Trudeau for both political and personal reasons rather enjoyed tweaking the nose of the Americans? I think it would not be to our good to have a divided Canada. So, we were always glad when we had a Prime Minister who appealed to both the French and the English. Trudeau in many ways bent over backwards because he was a French Canadian who appeared to be putting the Anglos in a tight spot. But that’s, of course, a constant concern of the Canadians. WILSON: Pierre Trudeau was prime minister. There was a separatist movement brewing in Quebec. The central government in Canada had set upon a French language immersion program in all the English speaking provinces to try to get Canadians to speak both languages. The U.S. dollar was strong compared to the Canadian dollar. There were a few trade disputes, but Canada was still our largest single trading partner. So those issues were important. Canadian grain problems, fishing problems between the two countries were significant. But Pierre Elliott Trudeau was the dominant force and was a major factor in the relationship. Of course, he and Richard Nixon didn’t get along so well I guess. An amusing sidelight, when I got up there Nixon was no longer in office in ‘75. I got a phone call after three or four months from the head of the USA division in the Ministry of Foreign Service saying, did I have any pictures of President Nixon. They would like them. Sure we have got a lot of pictures. I took them over to them. I sent back a cable saying, you know the Canadians liked the president so much they wanted to have his pictures. Three or four months later I had occasion to go over to the Ministry of Foreign Affairs around lunch time. I didn’t see anybody I knew, so I walked around to the back. There was a picture of Nixon on the wall. They were throwing darts at it. They would back off, and every time they would hit him, they would take it down and put up another one. Q: What was within the embassy sort of the feeling towards Trudeau at that time? WILSON: There was a sense that he could be a mischief maker and that he was very much a Canadian nationalist, which he was. He was both, but he was not anti-American by any means. He at that time was having problems with his wife, Margaret. That caused some difficulty, particularly when she walked into my office. 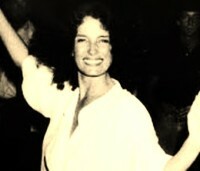 Our press offices were in the same building as the press club, and she thought she was going into the press club, and she had mental and psychological problems and she came into the office. She wanted to sit down and talk all about Pierre. It was kind of an interesting time. SMITH: [Pierre Trudeau] considered himself, and was considered by others, to be a significant intellectual and a thinker. He was not the usual sort of politician. He was rather critical of the United States… Popular opinion in Canada is strongly favorable toward the United States, so that, although a politician may be, on the margins, critical of the United States, there is nothing in it for him to run an anti-US campaign. He’s going to lose on the national level in Canada because Canada is not anti-US. But Trudeau didn’t mind tweaking and annoying the United States; in fact, he kind of enjoyed it. After Pierre Trudeau came back, in October of 1980 the Canadians came up with a National Energy Program in which they asserted what they called a “crown interest” in existing investments in oil exploration projects, many of which involved US companies. I think that there was a feeling that the center, Ottawa and the Trudeau government, wanted to reassert its authority over some of the oil-rich provinces like Alberta, which were benefiting from these investments and establishing their own relationships internationally. I think it was sort of a federalist thrust. Also, there was money involved, and there was a general feeling on the part of some of the people who were running Trudeau’s energy policy that the Canadian government needed to get inserted more into that area. JAEGER: Then came Trudeau’s intense federal counter campaign to impress on Quebeckers the high cost they would incur if they went through with this [separation]. Finally, early in May, Trudeau himself appeared in Montreal and Quebec City and made three passionate speeches which had a powerful effect. Trudeau was not unmindful of Quebec’s grievances and issues of cultural identity, having been the main promoter of biculturalism – which meant, inter alia, that as a result of his initiatives all English-Canadian officials had to learn French, and many groaned for years trying to memorize French phrases. At the same time Trudeau was an unbending federalist. His performances rallying Quebeckers for the ‘No” were brilliant and electrifying, offering them a new constitutional deal if they rejected sovereignty-association and painting a grim picture of their future if they did not…. Ten feet from me stood Pierre Trudeau concentrating intensely on the historic speech he was about to give. At a respectful distance, another 10 feet or so behind him, stood his cabinet and other Liberal leaders in equally total silence. Trudeau looked at me and for several seconds said absolutely nothing. After what seemed like an eternity, I finally thought, well, I’ve got to do something. There was another awful pause. I managed to mumble some excuse and beat a hasty retreat, swearing all the way. Minutes later Trudeau gave an absolutely rousing speech, which had a considerable impact. NILES: 1967. Trudeau replaced Lester Pearson as leader of the Liberal Party and Prime Minister. He was very much a 1960s person. He was older, of course, than the flower children of Berkeley and the people who made the student revolution in North America, although he married one of them, Margaret Sinclair. She was about 30 years younger than he was and very much a flower person. In his heart, Trudeau was of that generation. He was a person who was philosophically radical, attracted to trendy ideas, and socialist in his economic orientation. He was certainly a collectivist in economic and social policies and in terms of his view of the role of the state. This has always been a more prominent trend in Canada than it has been in the United States, so in this sense he was not among a small minority. He was also, I think, distrustful of the United States in ways that his predecessors, Lester Pearson, Louis St. Laurent, and MacKenzie King had not been. In this sense, he was closer to John Diefenbaker. It is true that Lester Pearson had some tough times with President Johnson over issues such as Vietnam and reacted badly when brow beaten by Johnson, as he frequently was. But Trudeau added a new element, in terms of his personality and his political predilections and his willingness to adopt policies which were distinctly unpopular in Washington, both in the political area and in the economic area. Trudeau was always pushing, always right on the edge, whether in terms of his relations with the Soviet Union, China, Cuba, which was an issue then, as it is now, with Canada, and in the economic area. 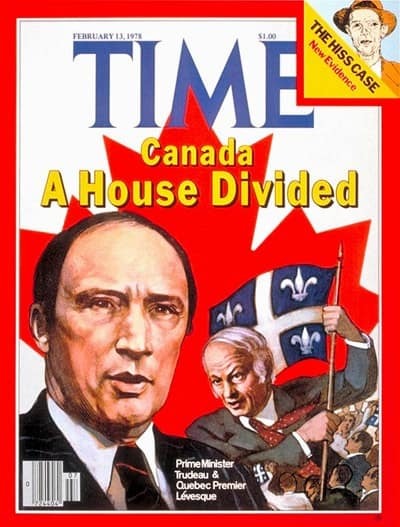 In the mid-1970s, Trudeau with good support from his Party, at least the leaders of his Party, and the acquiescence, if not support from the Canadian people, embarked on a policy which was explicitly designed to reduce Canada’s economic dependency on the United States. This lead to the establishment of an institution, the Foreign Investment Review Agency (FIRA), and a policy, the National Energy Policy, steps which were seen in Washington as unfriendly acts. They were designed to control American investment, in the case of FIRA, and to reduce the level of American involvement in the energy sector, in the case of the National Energy program. Trudeau also embarked in 1975 on something he called the “third course” which was designed to enhance Canada’s trade and economic cooperation with the European Community and reduce Canada’s economic dependency on the United States. It did not achieve its objectives. We should keep in mind that Trudeau was always on the edge of the acceptable, whatever it was.